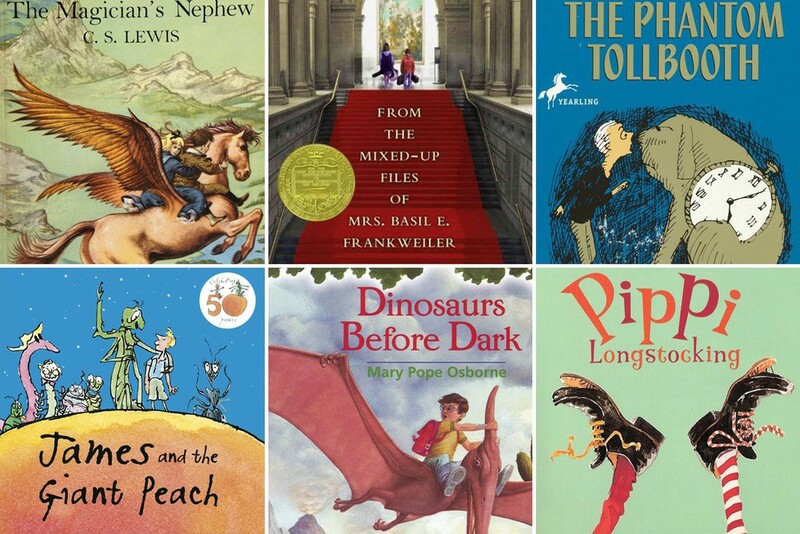 Here are the very best chapter books to read as your kids grow. Reading with your child is a great way to increase her interest in books and create a bonding experience. But sadly, 250 million children aren’t learning basic reading skills, and today’s International Literacy Day is shining a light on the issue. According to the American Academy of Pediatrics, reading aloud daily to children helps build language acquisition and literacy skills. With every passing paragraph, you connect with your child through new worlds, crazy characters, and shocking plot twists. When they start to progress from picture books to more complex stories, the themes found in literature become even more vital to your kids’ personal development. To ensure an amazing time during your readings, choose books that entertain both you and your child; when both reader and listener are fully engaged, the valuable lessons found in literature become much more captivating! Here are the very best chapter books to read as your kids grow. The story of Stanley Yelnats and his experiences at Camp Green Lake will make you laugh, cry, and ponder the concept of destiny with your child. The cast of beloved farm animals in this children’s novel makes for a wonderful read. You and your kids won’t want to put down this tale about an enchanted garden getaway. This story about a boy traveling the world in a large fruit will make Roald Dahl’s novels a family favorite. Use this gripping novel to spark conversations with your child about truth, destiny, and the value of history. The adventures of a boy wizard and his beloved friends will have you as enchanted as your little ones. This classic tale of Willy Wonka’s chocolate factory will have your kids on the edge of their seats. As Opal (the protagonist of this tale) and her adopted dog learn more about her family history, your kids will fall in love with this touching novel. The dark humor and fantastical plot of Lemony Snicket’s series will have your kids hooked from page one. Transport your kids into pioneering times with this novel about a loving family. Your kids won’t feel alone in their love of reading once they hear about Matilda, the bookworm with a uniquely superhuman ability. Your little one will love hearing about four siblings living in an abandoned train car, and you’ll enjoy the nostalgia of reading this classic childhood favorite. A trip to your favorite museum would be a great accompaniment to this story about siblings living in the Met. Creative characters and a fun authorial voice are only a few of the reasons why this children’s book is simply magnificent. Teach your child to embrace their quirks by enjoying this novel about a zany girl named Pippi. While this collection of poems is not a chapter book, Shel Silverstein’s lessons are relevant to readers of any age. This heartwarming novel is an excellent way to explore the concept of loss and grief with your children. Don’t be surprised if they (or you!) shed a few tears. The first in C.S. Lewis’s Chronicles of Narnia series, this novel is written in a way that will captivate you from start to finish. These novels, starting with Dinosaurs Before Dark, make history a fun adventure! This science-fantasy novel has been a children’s literary favorite since the 1960s, and once you read it you’ll know why.